*APY = Annual Percentage Yield. $1,000 minimum balance required to open account and earn stated APY. Penalty for early withdrawal. Rates are effective as of the date of this publication. 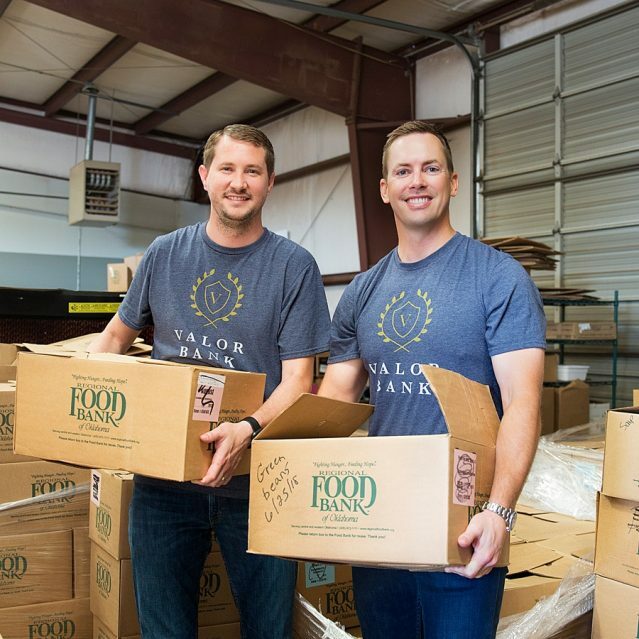 Valor Bank is focused on serving the community through real estate and business lending, deposit offerings, and joyfully giving 10% of our profits to non-profits making a positive difference. To us, Valor is faithfulness to our commitments, valuing people, and courage to follow God's will. We are grateful for everyone that has made the decision to bank at Valor and promise to work with integrity and faithfulness to serve you and your family. Direct communication with a Valor banker. We adapt to customer needs. Banking shouldn't complicate your life. Our online and mobile app delivers simple, innovative features to help make your life easier. As a locally owned bank we understand the importance of a community that helps meet the needs of one another. For this reason, we choose to give 10% of our profits to non-profits making a positive difference in our community. ©2019 Valor Bank, All Rights Reserved.